This year’s Vancouver Pride was one for the record books. From the parade to the citywide celebrations, it saw thousands join together in unity to show that we’re better and stronger together. 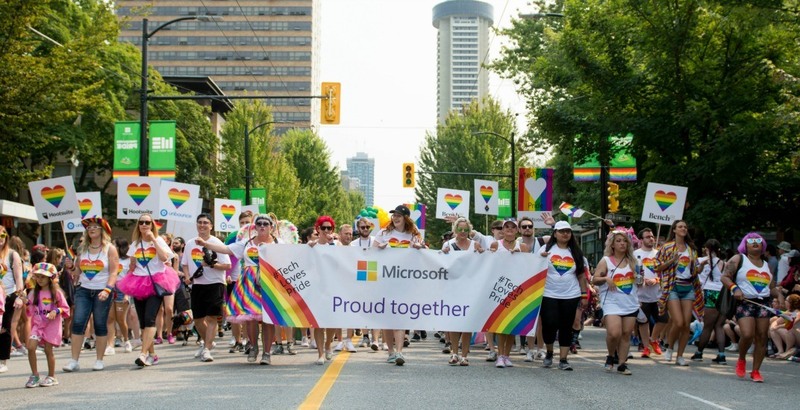 Microsoft Vancouver participated in this year’s Pride and it’s not the first time that the tech leader has done so. But this year they wanted to do something different, so they called on the tech industry to join them. 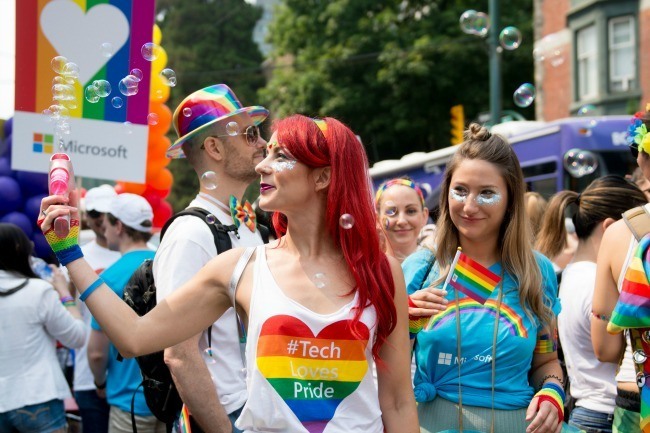 A team of employees from Microsoft Vancouver reached out to several tech companies in the city with the idea of sharing their footprint in the parade, by marching together under a united banner ‘Tech Loves Pride’. 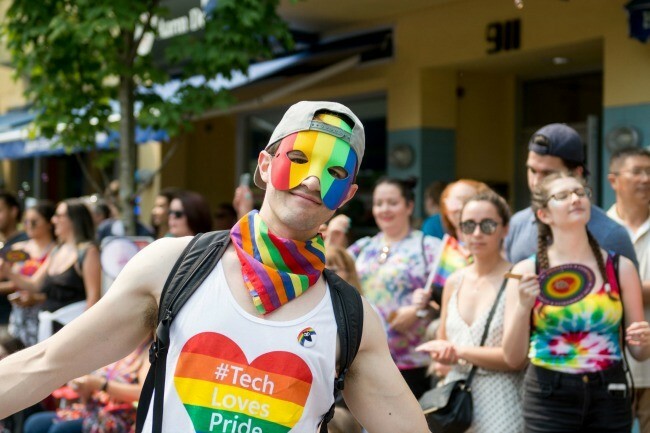 Five tech companies joined Microsoft in this year’s Pride parade, to live up to their global campaign ‘Proud Together.’ In total, there were more than 180 participants from companies including Hootsuite, Bench, Unbounce, Clio, and MetaLab. Vice President of Operations at Bench, Emily Key, said: “We at Bench were so proud to join and march with other like-minded tech companies in Vancouver to celebrate LGBTQ culture and pride. It is an important message, both internally and externally, that we are responsible for and passionate about the continued progress toward inclusion and equality. “By supporting the Vancouver Pride Society, tech companies are saying “this is who we are, and this is what we stand for”, and we want to encourage everyone else to be able to say and demonstrate that too, without fear. We’ve made great strides but we want to go further,” she added. 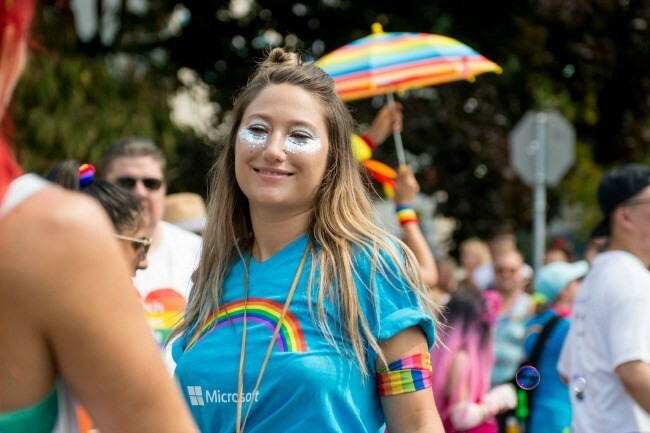 “The Vancouver Pride Parade brings people together to celebrate diversity and inclusion,” noted Karen Randhawa, Community Manager for Microsoft Vancouver. You couldn’t miss their presence at the parade with a truck, a DJ, tons of people wearing #TechLovesPride t-shirts, and their vibrant energy. Find out more about Microsoft Vancouver’s community involvement via Facebook, Twitter, and Instagram. Catríona is a Daily Hive Branded Content Writer. Irish-born now living in Vancouver and enjoying West Coast life. She graduated from university with a bachelor of arts degree in journalism. A passionate wordsmith, avid vintage shopper, and self-confessed chocoholic.